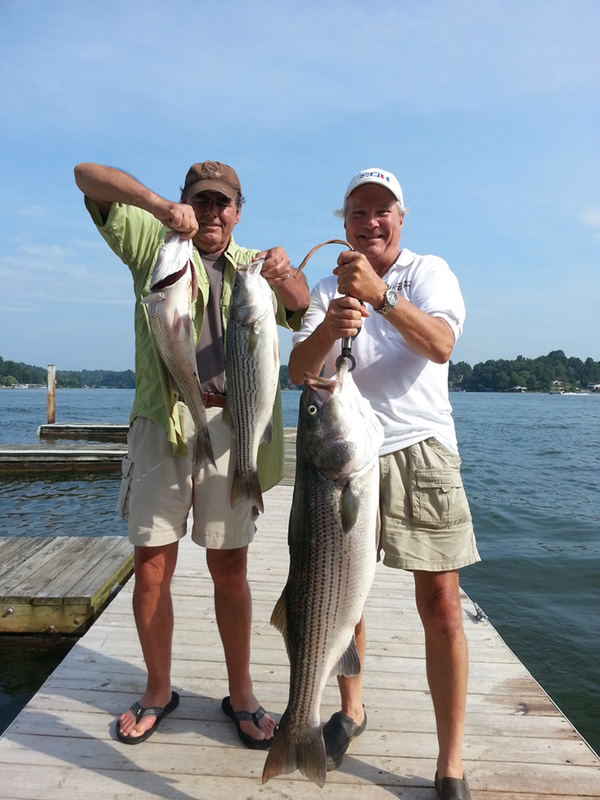 As a veteran Striper Fishing Guide with PointRunner’s Striper Guide Service here on Smith Mountain Lake Virginia I have found many successful tips tricks and techniques over the years and today I will share a small one.–I realize that some Striper Fishing Tips can make a great impact on your SML Striper Fishing creel limit . 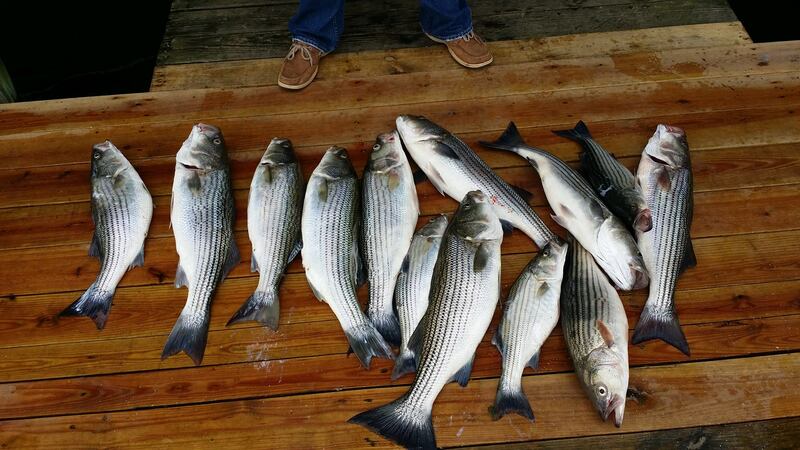 And one of those nuggets that I have pondered and applied while being a Striper Fishing Guide here on Smith Mountain Lake is how water temperature affects your bait selection. For this Tip/Trick/and Technique I will focus on the extremes of summer. As we come off the SML Striper Fishing spring pattern of using big gizzard shad to chase monsters stripers you have to change your bait size to become successful. As the water Temps creeps the 80+ degree mark be sure to ice your baits down and *Make your baits smaller..”much smaller” as the water gets hot it holds less oxygen and the stripers here on Smith Mountain Lake become less interested in chasing big fish in hot water. So, make it easy and use smaller baits and apply smaller hooks so the small baits swim more natural. The 20-30lb stripers will smash the small baits in the 2-4 inch range with more frequency and overall you catch more fish in the dog days of summer. Address: 16525 Booker T. Washington Hwy, Moneta, VA 24121.